Resilience: Your steel structure will not crack, split, rot or warp and it will perform consistently over time. It does not expand or contract, and it retains its structural integrity. Steel is also a good choice for blast-resistant applications, widely used in buildings that require special security or physical protection. A building using a steel frame is also resistant to progressive collapse. Wind and Earthquake Resistance: Steel structures provide increased strength and ductility when compared with other building materials, offering resistance to natural disasters like hurricanes and earthquakes. Steel structures also feature a consistent load path when designed correctly, and every steel product produced must meet standard quality requirements. Structural Integrity: A steel structure has the ability to withstand both manmade and natural challenges without disruption to its functions or its occupants. Steel is also durable, noncombustible and strong. Its homogeneous properties make it consistent and predictable for confidence in design. Steel’s ductility makes it possible for the redistribution of forces when accommodating displacements caused by natural disasters or a manmade event. Steel adds structural integrity and strength when used in combination with other building materials, such as being used in concrete construction or as a connection point in a wood frame. Steel also has standard connections, creating reliable fastening options such as welding, screws and bolts. In the event of an unanticipated tension force, steel provides additional load paths to absorb pressure. Be sure that your steel fabricator and erector are certified by the American Institute of Steel Construction, which regulates quality, safety and skills. Don’t choose your steel company simply based on cost. Choosing a company that skimps on quality or rushes the job will cost you more in the long run. Look for a company that does both fabrication and erection in-house in order to streamline and prevent errors. 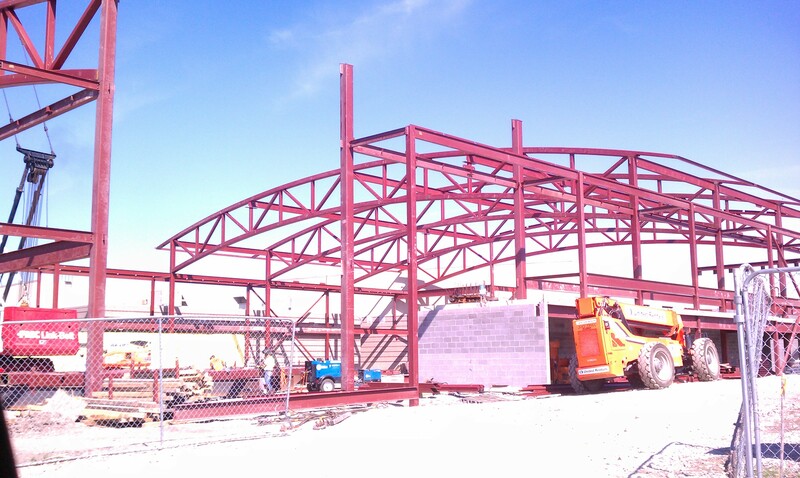 Midland Steel Company has been building steel structures in the Kansas City region for over four decades. Contact us to talk more about your project and experience the high level of quality that Midland Steel can contribute to your building.